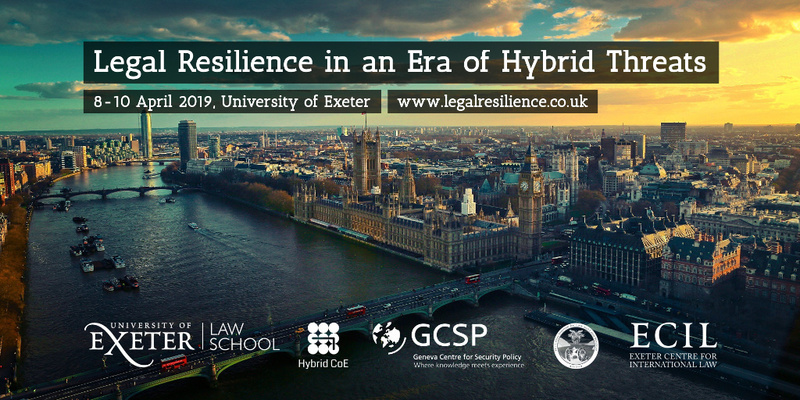 The Exeter Centre for International Law is hosting a conference on the subject of ‘Legal Resilience in an Era of Hybrid Threats’ on 8-10 April 2019 at the University of Exeter, in collaboration with the European Centre of Excellence for Countering Hybrid Threats, the Geneva Centre for Security Policy and the Lieber Institute of the United States Military Academy. The aim of the event is to explore the utility of legal resilience as an analytical and policy framework for countering the legal challenges presented by gray zone conflict, hybrid warfare and lawfare. The conference organisers invite proposals for papers, to be submitted by 30 November 2018.